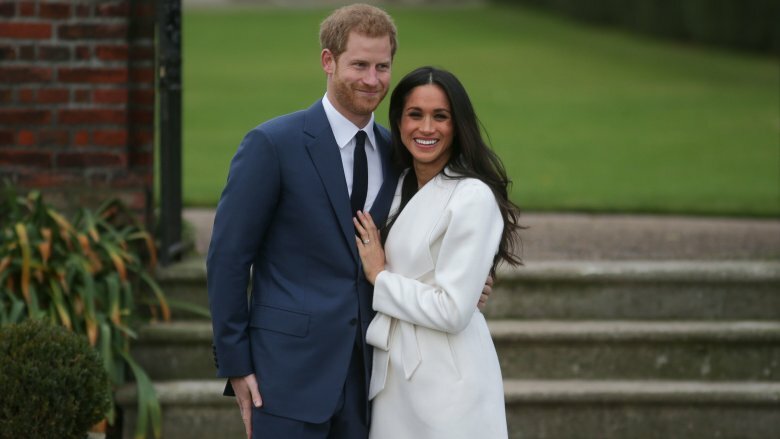 From the moment the world learned of Meghan Markle's relationship with Prince Harry, there was a mad dash to find out everything there was to know about the American actress who stole the ginger prince's heart. But the fascination didn't end with Meghan. The press dug deep into her family's past as well, where they found a complicated, blended family dynamic with Meghan's reclusive father, Thomas Markle, at the head of it all. Once an Emmy-winning lighting director for several popular TV series, Thomas Markle left Hollywood behind for a quiet life in a coastal Mexican resort town. As of this writing, he remains an expat who has gone out of his way to not draw attention to himself. Except, of course, it's difficult to stay low-key when your daughter marries the man who is sixth in line to the British throne. 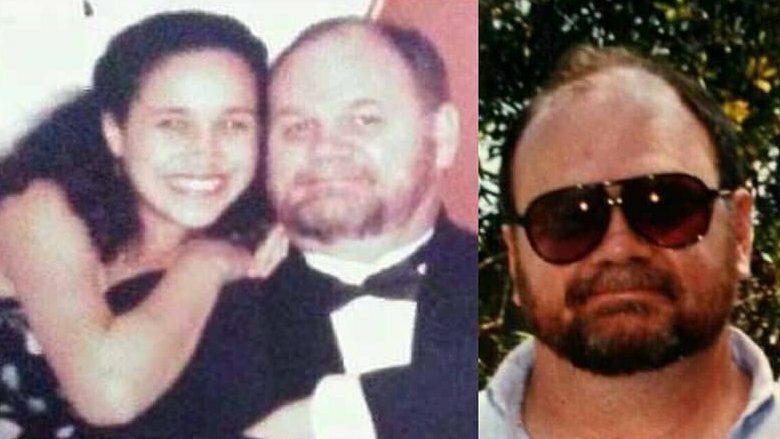 Remarkably, Thomas Markle has done just that, but we still managed to dig up dirt on one of the most famous father-in-laws in the world. 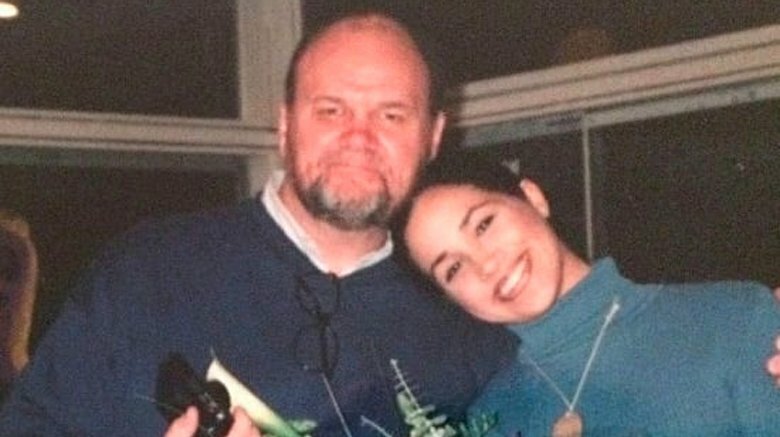 This is the untold truth of Meghan Markle's father. Though he clearly values his privacy, Thomas Markle couldn't be more pleased over his daughter's marriage to Prince Harry. In a joint statement, Thomas and his ex-wife, Meghan's mother, Doria Ragland, wrote that they were "incredibly happy" for the couple. "To see her union with Harry, who shares the same qualities, is a source of great joy for us as parents," the statement continued. Outside of their official statement, Meghan's parents remain tight-lipped about their daughter's relationship with Harry. Despite being hounded by the press, Thomas only ever expressed his "delight" over the marriage, as well as his eagerness to walk his daughter down the aisle (more on that later). In fact, on one occasion when he was surprised by some paps in a parking lot, Thomas reluctantly said, "I think it's wonderful, I'm very delighted. I think they're a very good match. I'm very happy for them … Harry loves my daughter very much — Harry's a gentleman, now leave me alone, okay, please?" With his reticence to speak publicly, it may seem like Thomas has a bunch of skeletons in his closet that he's trying to hide, but the reality is he was a pretty normal dad who did his best to raise his children. In an essay for Elle, Meghan Markle shed a lot of light on her upbringing. She revealed that her mother and father, who fell in love on the set of a soap opera, both helped her embrace her biracial heritage. "My dad is Caucasian and my mom is African American," Markle wrote. "I like to think he was drawn to her sweet eyes and her Afro, plus their shared love of antiques," Meghan wrote of her parents' romance. "Whatever it was, they married and had me. They moved into a house in The Valley in LA, to a neighbourhood that was leafy and affordable." On a few occasions when Meghan was made to feel uncomfortable about being biracial, Thomas knew how to help. First, there was the time he created a multicultural doll set of Barbies for Meghan for Christmas, which she said made her feel "like I wasn't different but special." Later in life, Meghan was confused by the ethnicity choices on a census she had to fill out for school. With no box to represent her "mixed race," Meghan left it blank and conveyed her frustration to her dad. "If that happens again, you draw your own box," Thomas told her. Before his marriage to Meghan's mother, Thomas was married to Roslyn Loveless. 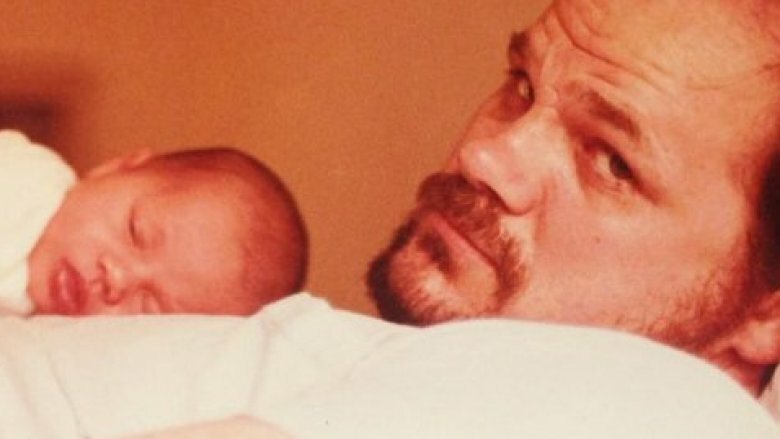 From that marriage came two children, Meghan's half-brother and sister, Thomas Markle Jr. (above left) and Samantha Markle, née Grant (above right). For as discreet as Thomas and Doria Ragland have been about Meghan's relationship with Prince Harry, Thomas Jr. and Samantha have been the opposite. On top of making inflammatory statements about Meghan in the press, then retracting said statements, Samantha actively promoted her memoir, The Diary of Princess Pushy's Sister. Subtle, right? 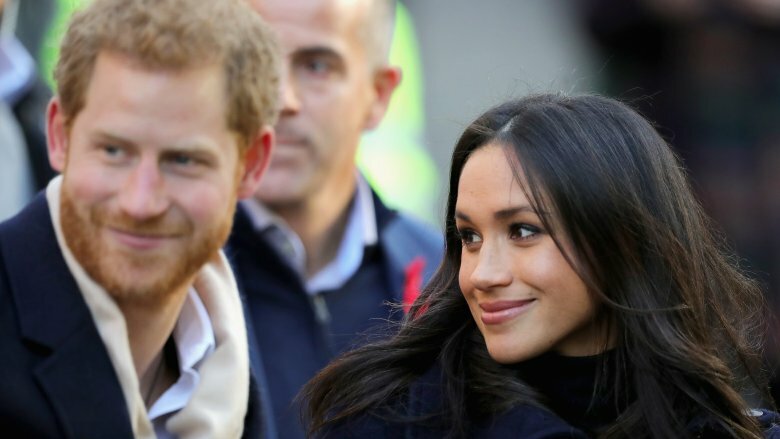 Although Samantha insists that the title is meant to be an ironic "mockery of the media," who she accuses of falsely attributing Meghan with using the term "pushy." Sure. Then there's Thomas Jr., who on top of publicly feuding with Samantha, lashed out directly at Meghan in a bizarre letter he wrote to Prince Harry, begging him to call off the wedding. Describing Meghan and Harry's union as "the biggest mistake in Royal Wedding history," Thomas Jr. also characterized his half-sister as "a below C average Hollywood actress" who allegedly bankrupted her father and left him to live in squalor. Yikes. As far as we can tell, Thomas Markle has not gone on the record to address the behavior of his two elder children, and he could even possibly be estranged from them as a result. However, Meghan and Prince Harry sent a pretty clear message as to how they felt about it by not inviting either of them to the wedding. Though the relationship between his children is obviously strained as of this writing, that seems to have had little to do with how they were raised. 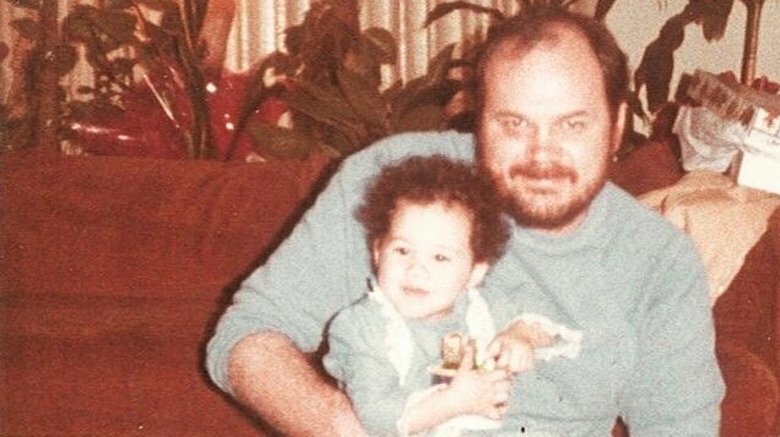 In an interview with Vanity Fair, Meghan recalled how her parents "had been so supportive," particularly her dad, who "knew how hard it is for an actor to get work." But before she found her own fame, Thomas fostered her acting ambitions by volunteering to work on the sets for her school plays, as well as letting her tag along with him on professional sets. "Every day after school for 10 years, I was on the set of Married with Children," Meghan told Esquire. She added, "There were a lot of times my dad would say, 'Meg, why don't you go and help with the craft services room over there? This is just a little off-color for your 11-year-old eyes.'" But Meghan offered the most detail of how devoted Thomas was to her in a post from her now-defunct blog, The Tig (via the Daily Mail). In a beautiful Father's Day tribute, Meghan recalled father-daugther fishing trips, ballet classes that he "religiously took me to on Saturday mornings after working 75+ hours a week," and his encouragement of her photography hobby, which included him going so far as to convert her bathroom into a darkroom when she was 12-years-old. "My dad taught me to find my light," she wrote. We're not crying, you're crying. Despite Meghan Markle's outward devotion to her father, there is evidence that the relationship wasn't always so rosy. Thanks to a home video provided by Meghan's former friend, Ninaki Priddy, to the British tabloid The Sun, we know that not even a doting dad like Thomas Markle was immune to the dramatics of teenage angst. In the video, an 18-year-old Meghan drives around Hollywood with Priddy, apparently on the hunt for a bargain on some clothes, when she suddenly says, "We're about four minutes from my dad's house. … But we aren't going to go there because my dad and I aren't on the best of terms." She adds, "I'd like to stop and see if I have any mail, but honestly, I just doubt it." 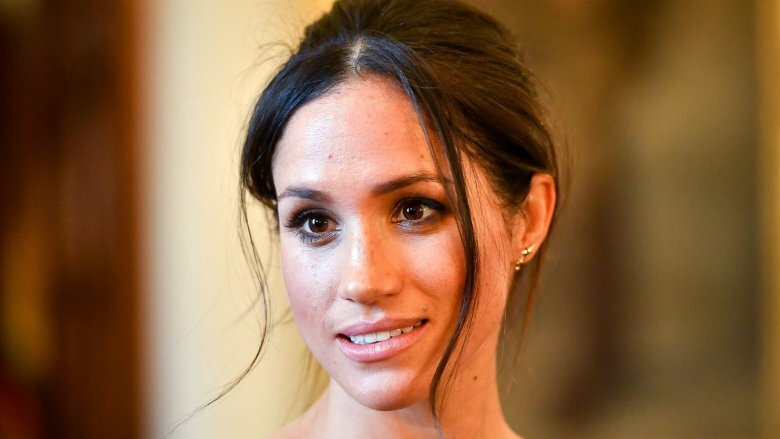 Priddy, who admits she and Meghan "no longer speak," but described her former friend as a "manufactured, exaggerated version of herself," declined to expand on what the issue was between Meghan and her father. However, Priddy did say of the video, "It's an insight into a world Meghan has been trying to protect," adding, "She tries to project a certain public persona. This is an unguarded version of herself, with her vulnerabilities and insecurities." Well, then. Perhaps this relatively innocuous video should be taken with a healthy dose of royal jelly. It's clear from Meghan's writings and commentary about her father that he provided her with a great upbringing. Some of that was made possible by his high-earning career as a Hollywood lighting director, work that earned him "about $200,000 a year," according to the Daily Mail, and garnered him countless award nominations and two Daytime Emmy wins for his contribution to the soap opera General Hospital. His big lottery win probably helped, too. 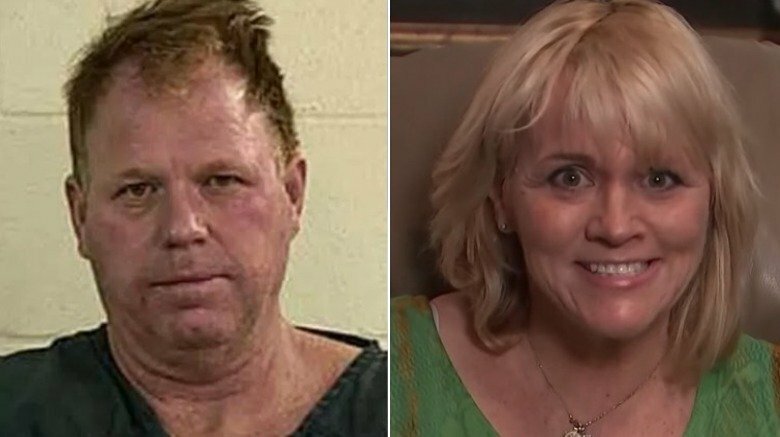 The lucky ticket, purchased in 1990, netted him $750,000, which, in turn, "allowed Meg to go to the best schools and get the best training," according to Thomas Markle Jr., who spoke with the Daily Mail. "She was always the family's princess but now she's going to be a real princess and I couldn't be more proud," he continued, using a decidedly more mellow tone about his sister than he used in the aforementioned letter to Prince Harry months later. Thomas Jr. also revealed that even before their father's windfall, he was able to send Meghan to the Little Red Schoolhouse, an exclusive, private elementary school in Hollywood. The lottery cash, however, helped make Meghan's college dreams become a reality. "Meg won scholarships to other universities but she wanted to go to Northwestern so she did," Thomas Jr. said, adding, "The money helped." Unfortunately, Thomas' lucrative career and lotto luck weren't enough for him to entirely avoid financial trouble. In the same interview where he talked about the lottery win, Thomas Jr. briefly referenced his dad's bankruptcy filing, which he chalked up to "poor investments made by a business partner." In a separate report by the Daily Mail, the tab fleshed out Thomas' financial woes in specific detail. Claiming Thomas filed bankruptcy in 2016, the Daily Mail reported Meghan Markle's father was carrying credit card debt to the tune of "£24,181 and savings of just £160," which, converted to U.S. dollars, equals $32,753 and $216, respectively. The tab also alleged that Thomas was "the subject of four legal claims in the past 20 years for unpaid tax bills," despite Thomas Jr.'s claim that his dad has "a good-sized pension and is by no means on his uppers." Obviously, the reality of Thomas' finances aren't entirely clear, but, from what is known about his current living situation (which we're about to get to), he did choose to move to an area where it's possible to live quite comfortably on not very much money at all. 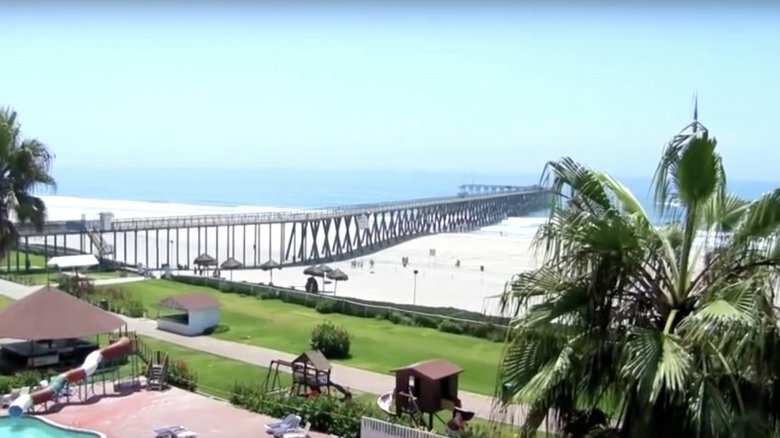 The Daily Mail also spoke with Thomas' brother, Michael, who confirmed that the retired lighting director now resides in the coastal Mexican resort town of Rosarito Beach (shown above). Michael told the tab that Thomas expatriated south "because the cost of living is better down there," which is undeniable as the Mail also reported beachfront rentals were available in the town for just a little over $1,000 per month. Thomas Jr. framed his father's move to Mexico more in terms of his desire for seclusion. In the same article, he said his father always "guarded his privacy fiercely," to the point where he even picked up and moved upon learning that "a neighbour had also worked in the LA film industry." Thomas Jr. also said that his dad likes to sleep in late and prefers to spend his time "reading, watching TV news and old films, playing slot machines or ambling around." He also said that retirement has "been hard" for his dad, who no longer had the "status" or "social circle" that he enjoyed in Hollywood. "But my dad is the strong, silent type," Tom Jr. said, adding, "There is no way in the world he'd talk about it." Good thing he's got a son who has no problem doing that for him! Though it has been reported that Meghan Markle's father met Prince Harry "during one of his visits to Canada," the former Hollywood crew leader and the dashing Prince did not meet prior to the royal wedding festivities. In fact, Meghan dropped this rather shocking revelation in a November 2017 interview with People when she said, "He's talked to my dad a few times, hasn't been able to meet him just yet, but it's all been — it's all been worth every effort." Of their chats, Harry simply said, "Yeah, yeah it's been great." A friend of Thomas, Lori Davis, spilled a tiny bit of the tea about Thomas' phone calls with Harry when she told The Mirror, "They've had many conversations. Friendly conversations. He's delighted for them." While it was reported by both People and Us Weekly that Harry asked Meghan's mom in person — during Meghan and Harry's highly publicized first joint appearance at the 2017 Invictus Games in Toronto — for her daughter's hand, for some reason he wasn't able to extend the same courtesy to her father. 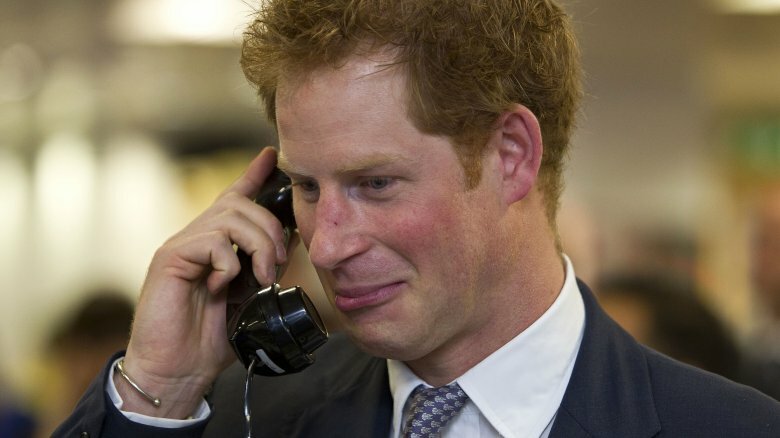 However, according to the Daily Mail, Harry completed his chivalrous duties by asking Thomas over the phone. What can we say? It's a modern romance for a modern royal couple. Thanks to the paparazzi covering Meghan Markle's father's every move, we know a whole lot about how he got ready for his daughter's nuptials. And let's just say that his preparations weren't exactly on par with what went on across the pond. For starters, Thomas was spotted getting fitted for a suit, as well as apparently getting a fresh haircut before embarking on a remarkably frugal trip to London, which began, according to the Daily Mail, with Thomas checking into a "a budget $70-a-night motel in San Diego." While there, he was also snapped driving his older model Volvo (which has a taped-up tail light) to a 7-Eleven, where he bought an armload of provisions, including a bottle of Yoo-hoo and some Gas-X. Another Daily Mail story featured photos of Thomas at an internet cafe, apparently getting caught up on the latest news about Meghan and Harry. Which sounds as adorable as it is amazing, until it was revealed days later to be a total set-up, but more on that in a moment. All that said, we just want to be clear here that we are in no way mocking Meghan Markle's father. Rather we are delighted and amazed that the untold truth of this man is that he couldn't be more of a normal dad, even if he had cracked corny jokes at the rehearsal dinner and shook Harry's hand way too hard the first time they met. In a rare break from his usual media silence, Meghan Markle's father started speaking with TMZ just days ahead of the wedding. On May 14th, 2018, he rocked the internet with the news that he would not attend the wedding, following the growing scandal that he'd staged the aforementioned goofy photo shoot at the internet cafe, as well as several other phony wedding preparation scenarios. Thomas said that he was sick of the paparazzi catching him in "unflattering moments," so he tried to control the situation with a canned shoot that he ended up liking even less. On top of all of that, Thomas told TMZ that he was hospitalized after a heart attack in early May 2018, and he even checked himself out early so he wouldn't miss the wedding. Cut to one day later, and Thomas was back on the horn with TMZ, this time saying he does want to go to the wedding, except he's back in the hospital with chest pains and is unsure if his doctors will let him go. "I hate the idea of missing one of the greatest moments in history and walking my daughter down the aisle," he told the tab. Thomas later revealed to the gossip rag that he'd ultimately be unable to attend his daughter's wedding, as doctors had scheduled him for heart surgery days before the ceremony. Meghan confirmed the news in a statement released via Kensington Palace's Twitter account. "Sadly, my father will not be attending our wedding," the statement read. "I have always cared for my father and hope he can be given the space he needs to focus on his health."